It’s been learning and exciting time at CIPSEM since our course began. The diverse backgrounds of the 21 participants from 19 countries in the course have provided enriching insights on energy profiles (including their cultures) through the country reports. 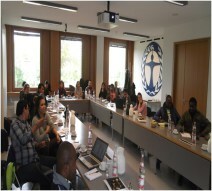 We have also had introductory lectures on renewable energy and energy efficiency which altogether have provided insights on trends, technologies and the policies driving them in Germany. Then it was time to do some site visits, this time the German Environmental Agency headquarters in Dessau! The about two and half hours’ journey by train provided opportunity to pass through other cities of Germany as well as villages. We realized that its global leadership in renewable energy, Germany also has fertile and expanse of land for agriculture. On arrival at the Agency, we were taken on a guided tour round the building. What initially appeared to be a demonstration of architectural and artistic expertise would soon become a blend of arts and architectural design in a “model green building”. Our guide provided detailed explanations on the various designs and parts of the building as it relates to renewable energy and energy efficiency. From the Agency, we proceeded to the world famous home of harmony of arts and craft, the Bauhaus in Dessau! We had another guided tour of the building and learned of its legacy in architecture since the 20th century. The 90-year old building which was a masterpiece in the 20th century architecture was designed in 1925 by Walter Gropius, a professor and an architect. The building was was unique with its glass wall, flat roofs and the no-main view design of the building which were peculiar at the time. The Bauhaus appears to be more than design but also a philosophy that pushed design on a new course: the Bauhaus provides an interface between User Experience, Sustainability and Innovation in building design. From the Bauhaus, we retired to the hotel for dinner and night rest, courtesy of CIPSEM. 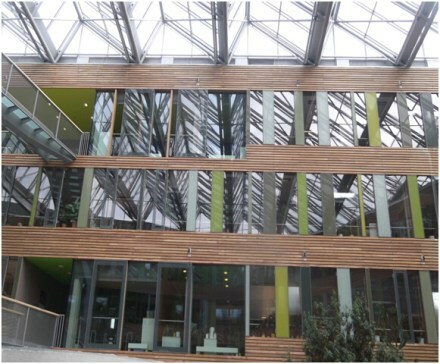 Next day, we had five insightful presentations at the German Environmental Agency (UBA). First was an introduction to the operation of the Agency. It was exciting to learn of the reason for the location of the headquarter office of the UBA in Dessau instead of Berlin, the capital. We learned that all second place government institutions were asked to move to the interior to facilitate infrastructural development in 2004. Among other responsibilities, the agency supports Federal ministry for the environment, Nature conservation Building, and Nuclear safety (BMUB) and the Federal Ministry of Economy and Energy (BMWi) “by providing scientific knowledge on energy questions and issues such as renewable energy”, collecting data, educating the public, implementing statutory provisions, among others. Thanks to Dr. Benno Hain for his presentation. In his second presentation, Dr. Hain discussed policy and the institutional framework for Climate mitigation strategies and scenarios in Germany. He introduced the three levels of policy drivers for climate change in Germany: national (Energy Concept of Germany), regional (Climate and Energy Package of the EU28) and the global (International Climate Policy, UNFCCC). Very insightful! Next was a presentation on the various bioenergy applications and their roles in sustainable development. Jan Seven emphasized that though the use of bioenergy (traditional) is an ancient practice, their inefficient use results in resource depletion, air pollution and labour shortage. He also itemized the risks and opportunities associated with modern bioenergy. According to him, averting the risks while taking advantage of the opportunities requires changes in current practices and strategies. Further, he discussed UBA’s activities for sustainable bioenergy development and support for the Global Bioenergy Partnership (GBEP). Max Werlein also made a presentation on the “Energy Transition in Germany”. He discussed the concept “Energiewende”, targets and the three policy goals driving it: economic efficiency, security of supply, and environmental compatibility. After the lunch break, we had the last presentation by Jens Schuberth: “Policies for energy saving”. Jens discussed the prospects and challenges of sustainable use of energy and energy efficient products. His lecture also provided insights on policies and strategies for promoting the construction of energy efficient buildings in Germany. 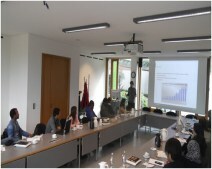 Overall, the excursion provided insights on the German energy system, targets and the policies drivers. Thanks to CIPSEM for facilitating the visit and special thanks for Andre for leading us on the trip! Welll along with your permission let mme to grasp your feed to stay updated with forthcoming post. Thanks for your kind words and for following up. Thank you. a professional in this subject. Well along witfh your permission let me to grasp your feed tto stay updated with forthcoming post. Thank yoou 1,000,000 and please carry on the enjoyable work. Many thanks for your comment. Thank you. Thanks for your comment and inquiry, you may quote the post on your website but as you said, kindly give the credit and link to our weblog. 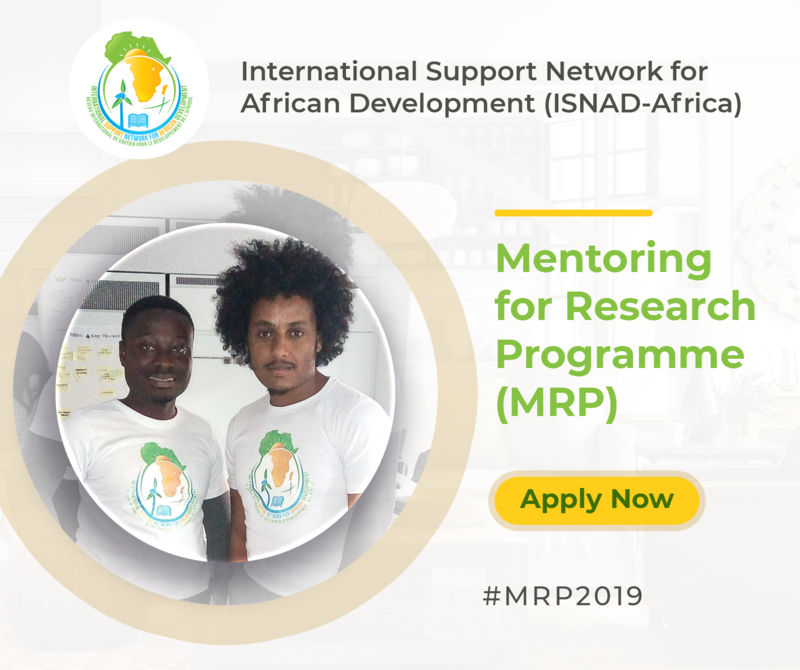 You may also kindly send us the link to your repost at your convenience (isnad@isnad-africa.org). Thank you.